Singaporeans are avid movie-goers In fact, all over the world, Singapore was crowned as the country with the highest number of movie-goers. If you are one of the many avid film aficionados, there is no shortage of movie complexes and cinemas where you can go catch the latest films. Here are the best places to see movies in Singapore. As one of the largest cinemas in the whole island, this movie complex is located at the top of the Cathay Cineleisure Orchard building and a big attraction for the teens and the youth alike. The place does not only cater to people who want to watch movies. Other activities for leisure such as visiting cafés, shopping, eating out and playing games are also done in the building. VivoCity is part of the Golden Village chain of cinemas, Singapore’s largest film and cinema operator. It’s a great place to hang out with friends and watch movies because it has 15 cinema halls, which are equipped with only the best audiovisual system. A lot of people prefer this cinema complex because the staff are friendly and the cinemas are guaranteed clean. 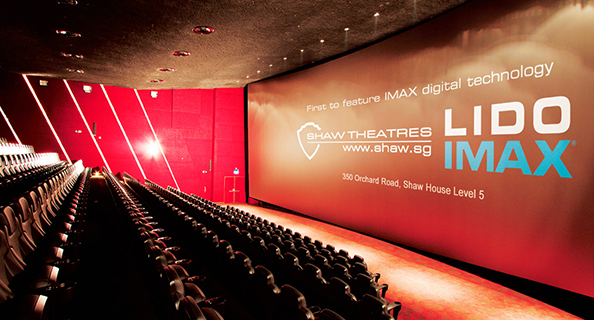 Shaw Theatres JCube is found in the West end of Singapore and is highly recommended for avid movie fans who are in the same area. It was opened by the Shaw Organization in 2012 and since then, it has been a popular place to go see a movie in the Jurong area. It also has an IMAX hall for those who want to try the experience the ultimate 3D experience.